That is strange, even I cannot see it and get the same error. Update - As per the latest information on DisplayLink Mac OS page, one can use driver v4.3 Beta 6 on 2018 laptops. MacBook 2018 models (based on the Intel Coffee Lake chipset) running macOS 10.14 can experience black extended display(s) with only mouse cursor. DisplayLink driver v4.3 Beta 6 stays available to force an AirPlay extended display on these machines until a fix is distributed." 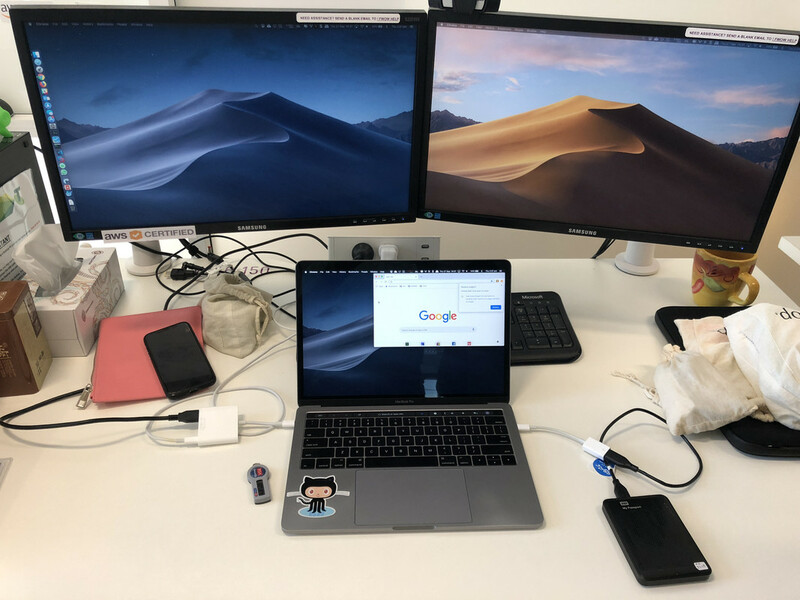 I can confirm that extended display works with one monitor, but when multiple monitors are connected, they still work as mirrored displays. And I face some weird issues (random screen blackouts, mouse works in just one third of the screen) if I close the lid of the laptop. Last edited by vikas027; 10-05-2018 at 04:01 AM. Has anyone heard anything on a fix for this issue? The last email from DisplayLink announcing the latest drivers hints that the fix should come from apple. Yeah, I have tried it. 4.3 Beta 6 still does not works on my 2018 MacBook Pro. I am having the same issue. please let me know if you find any solution for this. In my case, the mirroring is working but not extended monitor. I have rebooted a couple of times. It does not work, unfortunately.